Wearable Sega Megadrive glasses, Thief as a JRPG, and tiny, tiny cans of beer are among the highlight's of Japan's April Fools Day. While April Fools Day may only just be beginning in the Western hemisphere, it is already coming to a close here in Japan. The Japanese are no strangers to the annual tradition, and some of the biggest names in Japanese video games and tech have come up with some pretty amusing jokes. Here's some of the best of them. 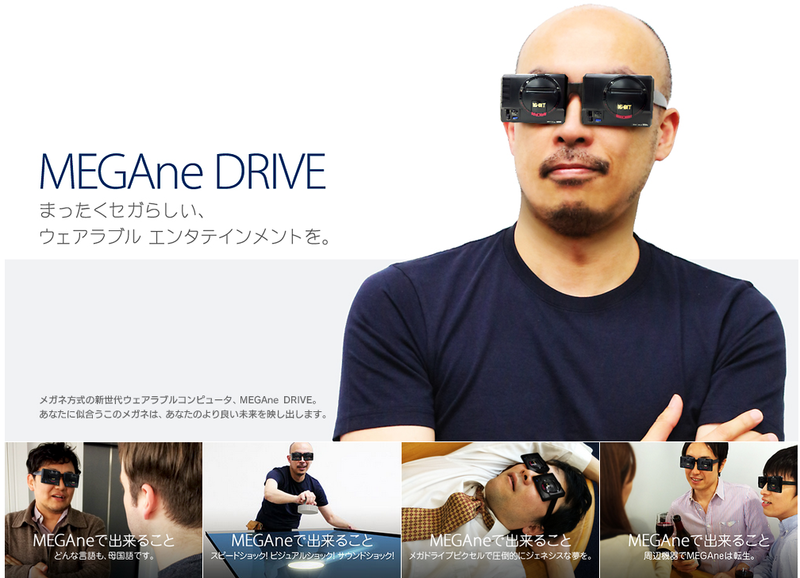 First up, from Sega Japan, it's the Sega "Megane Drive", a pair of glasses that are actually two tiny Sega Megadrives. For those of you wondering, "Megane" means "Glasses" in Japanese, leading to a rather clever play on words.